This easy, healthy hot cocoa recipe is perfect for winter days. It only takes a few ingredients and a few minutes to make! My kids are huge fans of hot cocoa, especially after an afternoon of playing in the snow. Even though hot cocoa packets are super convenient, they also come with some ingredients that I’d rather avoid. All you really need for delicious homemade hot chocolate is cocoa, milk (or nut milk), vanilla, and a sweetener. This recipe only has a few ingredients, and it’s sweetened with maple syrup. I purchased almost all of the ingredients with the exception of my homemade vanilla extract) at our local Aldi, which is my favorite place to shop. Whenever we can, we buy fresh raw milk from a local farmer. Since we don’t currently have a farmer to purchase milk from, I’ve been mostly relying on almond milk or organic milk from Aldi. I’m hoping to find a source for milk soon, as I miss having all the cream to use in recipes. My dream is to have our own dairy goats, but that’s still a way off in the future. 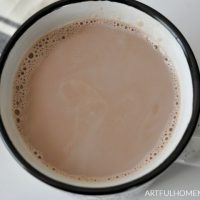 This healthy hot chocolate recipe is so easy and quick to make that it only takes a few minutes to mix and heat the ingredients on the stove top. 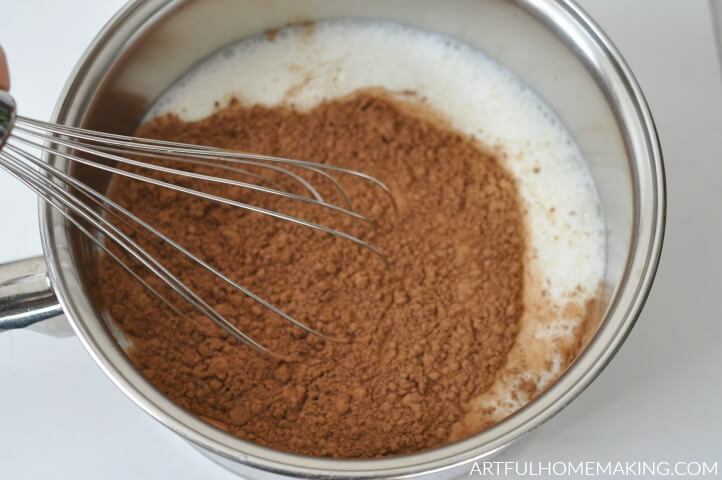 Add all the other ingredients, and heat over medium heat, whisking often with a wire whisk to keep the milk from scalding. After the mixture has heated, ladle it into cups and serve! This recipe makes about four 1-cup servings, so we always at least double it for our large family. You can also easily adapt this recipe if needed, by adding more or less sweetener or other flavors like cinnamon. It’s delicious with homemade marshmallows or a bit of whipped cream! 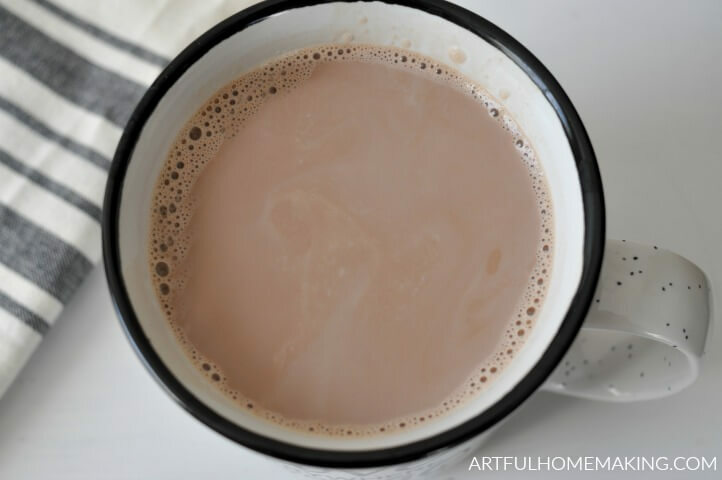 This easy and healthy hot cocoa recipe will help you make naturally sweetened hot chocolate in just minutes! Combine all the ingredients in a saucepan and stir. Heat on medium heat on stove top until the mixture is warm. 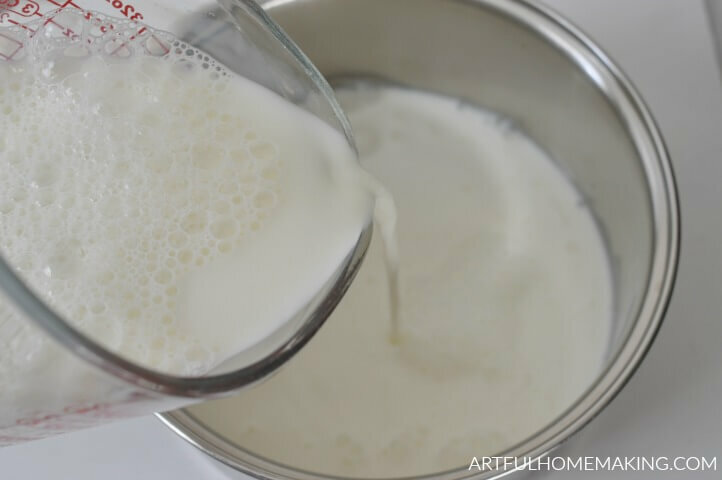 Once it starts getting hot, whisk the ingredients together with a wire whisk and stir continuously to keep the milk from scalding. Ladle into cups and enjoy! This recipe makes about four one-cup servings. Since we have a larger family, we always double it so there's enough to go around! 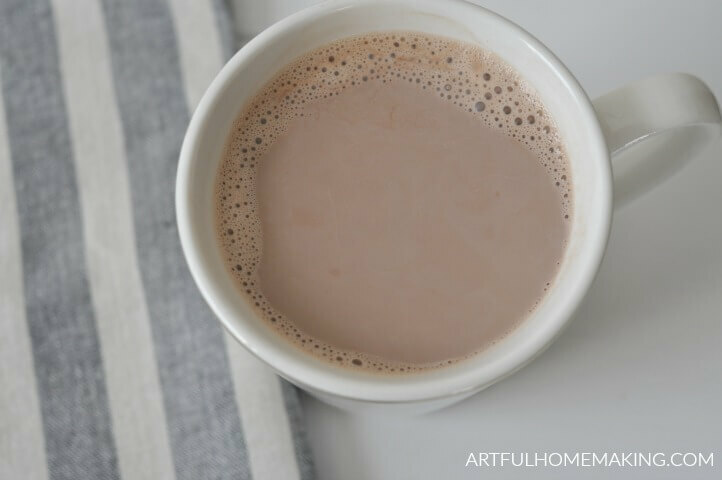 We’ve got snow on the ground now, and I’m anticipating making lots of this naturally sweetened hot cocoa! Thanks so much for stopping by! We’ve done homemade hot chocolate several times but never with syrup. I think they always put chocolate chips instead, but what a great way to make it healthier without any artificial sugar. Thank you for sharing with us at #LiveLifeWell. Wow! I can not wait to try this! I love hot chocolate, but it is usually full of things that I am better off not drinking. This sounds amazing! Maybe my son will like it, you know that silly boy does not like hot chocolate! I think there might be something wrong with him! lol. Enjoy! Hope your son enjoys it too! Maybe he would like it served cold rather than hot? Sometimes kids prefer cold drinks for some reason! 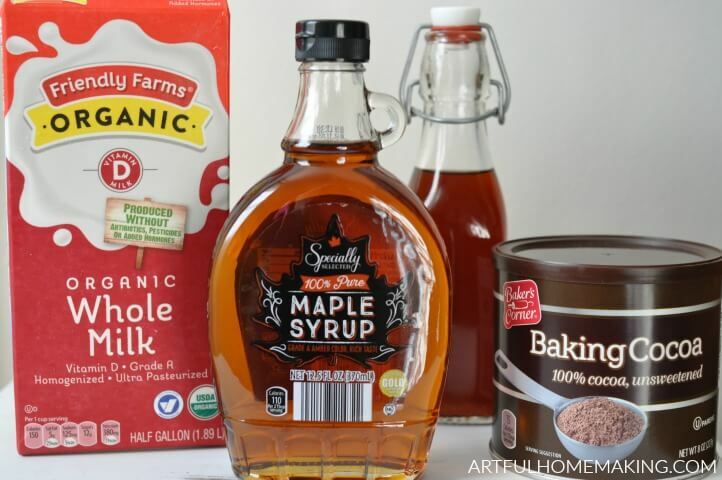 this is an interesting recipe as I never thought to use maple syrup but it sounds like it would make a great sweetener in leu of sugar. Thanks for sharing with us at #OMHGWW! Sounds very tasty, I think I’ll try it with our Nigerian Dwarf goat milk. Thanks for sharing on the Homestead Blog Hop. Great idea! Thanks for stopping by, Lesa! My husband loves him some hot cocoa and we go through those convenient packs pretty quickly. I have all these ingredients on hand already. I’ll be saving this for future use!! Thanks! Yum! Saving this recipe to try this weekend. Enjoy, and hope you have a great weekend, Angela!